Urban core or Apple core? Where will top talent go? There is a fascinating dialogue taking place right now on the role of interactions both in the workplace and between the workplace and the urban environment. Whereas Silicon Valley has been the fabled home of the technology industry, trends over the past several years have seen startups, and now more mature companies, making their home in cities instead. Almost every major tech company is now in design or construction of new headquarters or development facilities. 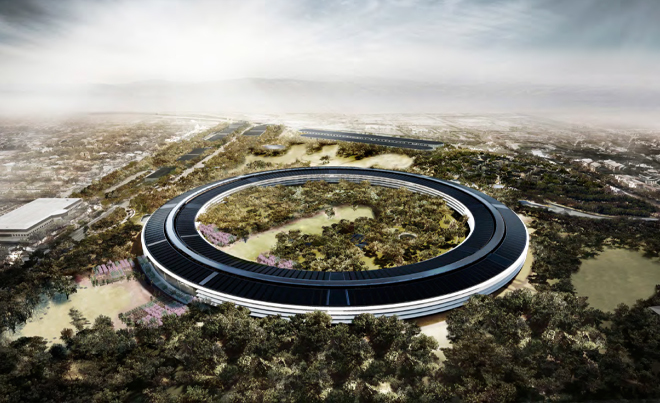 Apple has taken a very different approach than others, opening up a very interesting living lab and competition to see what matters to top talent, whether tech or other.